Join us in Phoenix, AZ. Visit us on Booth 549. Schedule a meeting now! 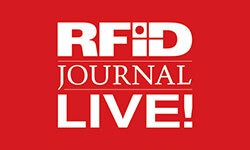 RFID Journal LIVE is the world's largest and most comprehensive conference and exhibitor focused on RFID and its many business and consumer applications. LIVE! 2019 will feature more than 200 exhibitors from the United States and 25 other countries.